Fergus Green is a researcher and climate policy consultant based at the London School of Economics & Political Science. From January 2014 to October 2015, Fergus was a Policy Analyst and Research Advisor to Professor Stern at the LSE’s Grantham Research Institute on Climate Change & the Environment and Centre for Climate Change Economics & Policy. In that role he was primarily responsible for providing academic and policy-related research assistance and advice to Professor Stern. He was also a Policy Analyst within the Institute’s Policy Team, working on projects relating to international climate cooperation, climate policy in China, and various theoretical topics concerning climate change mitigation policy. Fergus is currently an MRes/PhD candidate in Political Science in the LSE Department of Government and he remains actively involved with the Institute. Fergus began his career as a lawyer in the Melbourne office of Australasian firm Allens Arthur Robinson (now Allens-Linklaters) from February 2009 to June 2012, where he specialised in climate change, energy, water and environmental regulation. During this period, Fergus also engaged in Australia’s climate and energy policy debate as an independent commentator, writing for Australia’s Lowy Institute for International Policy and for a wide range of print and online media. He was a Fellow (2010), Director and Chairman (2011–12) of the not-for-profit Centre for Sustainability Leadership. Fergus moved to London in September 2012 to undertake graduate study after receiving a Sir John Monash Scholarship. He completed an MSc in Philosophy & Public Policy with distinction at the LSE, receiving the Andrea Mannu Prize. He also holds a BA (Political Science) and a Bachelor of Laws with first class honours from the University of Melbourne. 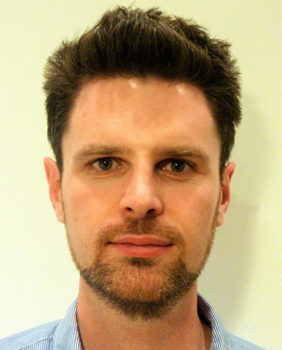 In 2013 Fergus was a research assistant in the LSE’s Department of Philosophy, Logic & Scientific Method and throughout the 2013/14 academic year he was a Teaching Fellow in the Centre for International Studies & Diplomacy at SOAS, where he taught Global Energy & Climate Policy at masters level. Could China, the world’s biggest carbon emitter, ever go green?